We’ve been giving you a few teasers about the Bandhouse organisation over the last year or so and now things have moved on a little and ideas have been translated into material ready for release. 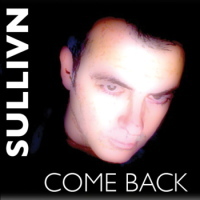 I must admit I was confused when I saw the title and the artwork for the debut Sullivn single “Come Back”. I thought for a few seconds that it was a cover of the 1984 Wah! single and, to be fair, the picture of singer John O’Sullivan does look a bit like mid-80s Pete Wylie. Anyway, it’s a John O’Sullivan original and sounds nothing at all like the Wah! song; it’s also very good. On this single, John is joined by Simon Goudarzi and Joe Shimmin (guitars), Jon Mar Ossurarson (drums), Layla Kim (keyboards) and Sjur Opsal (bass) and despite featuring five musicians and a vocal, there’s actually a lot of space in this mix because none of the musicians overplay their parts. The structure of the song is very simple; it’s a lost-love and missed opportunity ballad with a simple chord pattern which relies on the performances and arrangement to make it work. The song opens with just a lead vocal and keyboard chords (and slight hints of guitar) for the first verse before the drums thunder in and the song gradually builds up to a full-on 70s style power ballad with the injection of a couple of prog-influenced breakdowns where John delivers some very effective Percy Plant-style wails just behind the guitars before coming to a close which is almost a cappella with just a touch of guitar harmonics. The song is strong and you can’t fault any of the performances here, particularly the vocal which manages to convey fractured and splintered emotional intensity without ever quite losing control; never an easy balance to strike. As a debut single, this is a statement of intent from Sullivn; I’ve heard more material in demo versions which suggests that this is just a taster for upcoming material; I’m looking forward to hearing more of it. And don’t forget to keep an eye on MusicRiot for details of the Radio (in my) Head project in the next few weeks. Out now as a free download (for a limited time). My comment above has been received in a certain quarter as offensive. I listened to the whole track and was quite taken with John’s voice and it did remind me of Michael Bolton. If this is offensive then I apologise to the artist and I also apologise to Michael Bolton. Thanks Grant, you view is much appreciated. You can also find the full extended version of Come Back on iTunes at http://bit.ly/19ycPsR Enjoy! Loved it – Great voice – haunting and beautiful. love this single, looking forward to hearing more in the future. its good to hear original music. Beautiful, soulful voice and a powerful, moving song. It won’t leave my head!